As a value-added reseller, the impact of rapid changes in the VAR landscape may have hit home with you. Pricing is becoming increasingly competitive. In an already low-margin environment, numbers continue to shrink, putting enormous pressure on achieving a survivable bottom line. 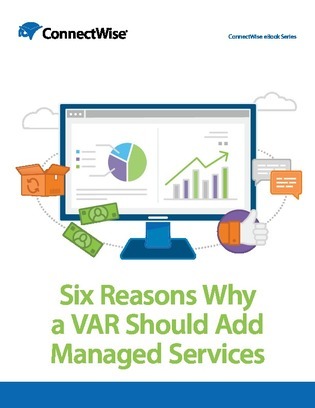 To remain competitive and be in a position for growth, now is the time to look outside the traditional VAR business model, and expand your offerings to include managed services. So, why should you consider putting resources into moving to this business model, and what can you hope to gain? Download this e-book for 6 tangible reasons why you should consider an MSP business model.